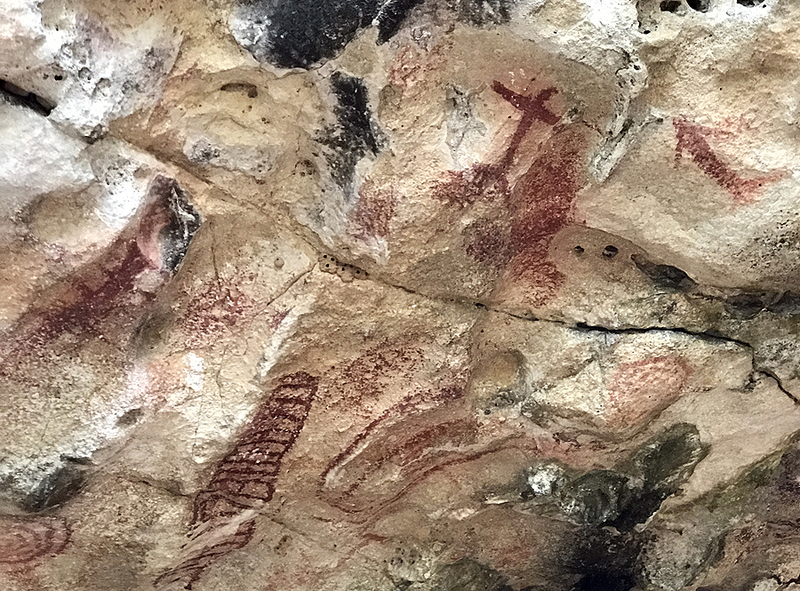 The Christoffel Pictograph site is situated in a rock shelter on the island of Curacao. 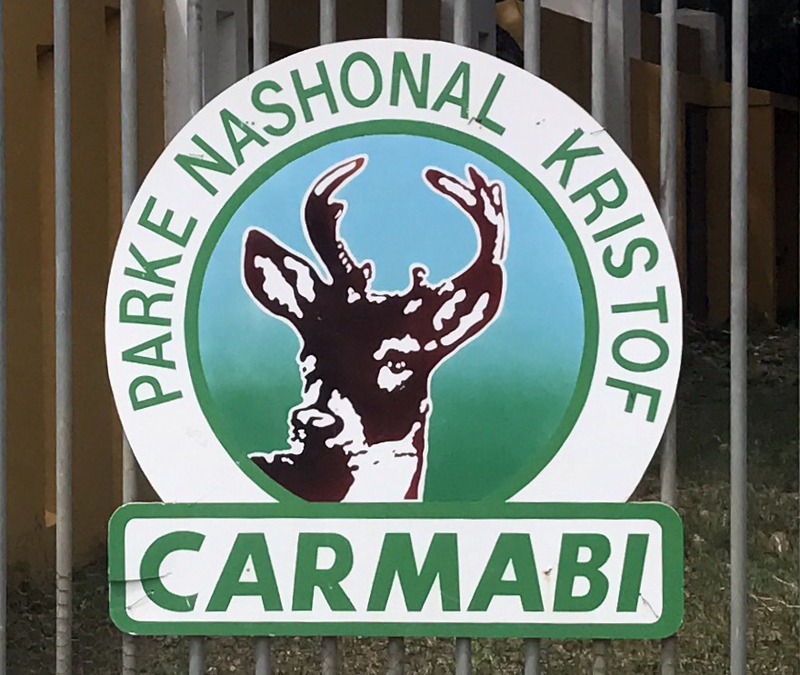 The site is gated and protected in a national park. 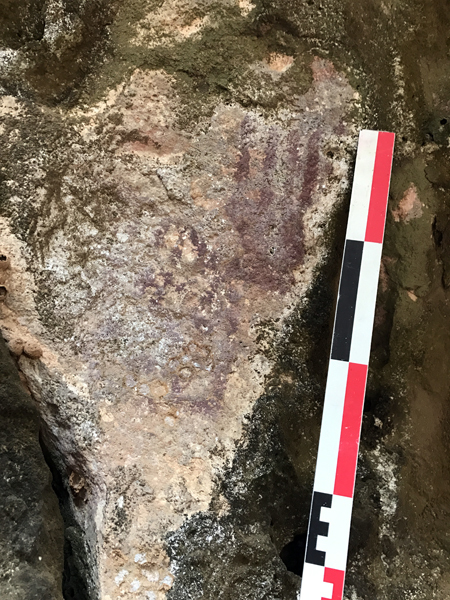 Pictograph of a hand at the Christoffel site on the island of Curacao. Scale is 50 cm. Professor Neathery Fuller looking through the protective fencing at the Christoffel site on the island of Curacao. 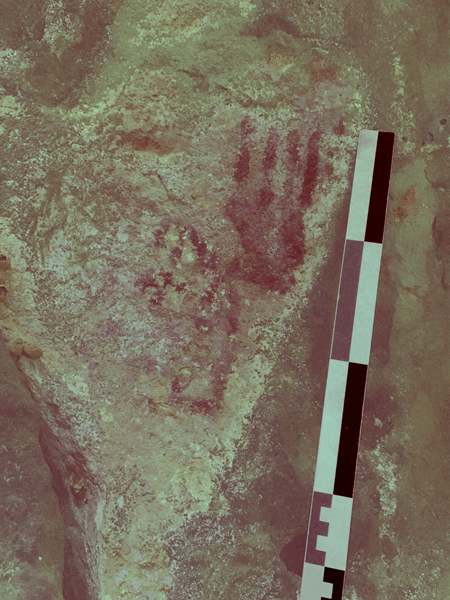 dStretch image (filter yre) of the pictograph of a hand at the Christofeel. Scale is 50 cm. 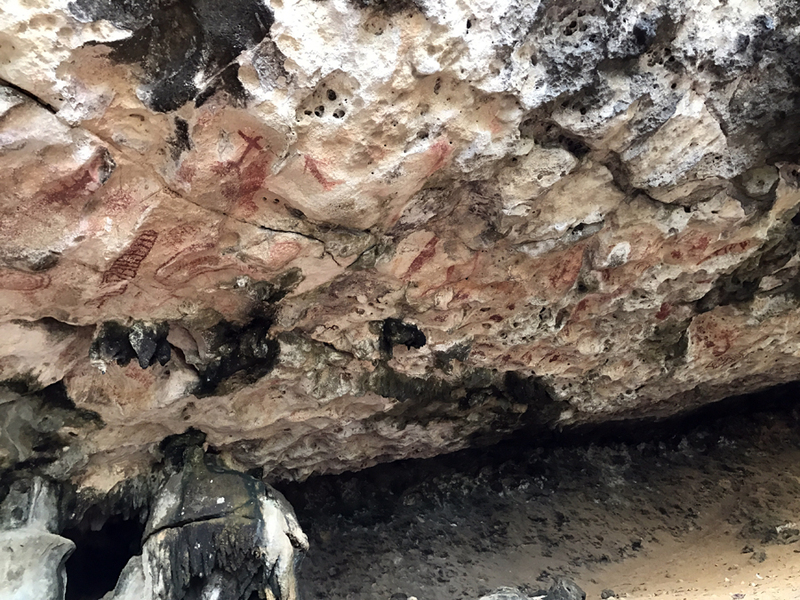 Ceiling of the Christoffel rock art site, Curacao. 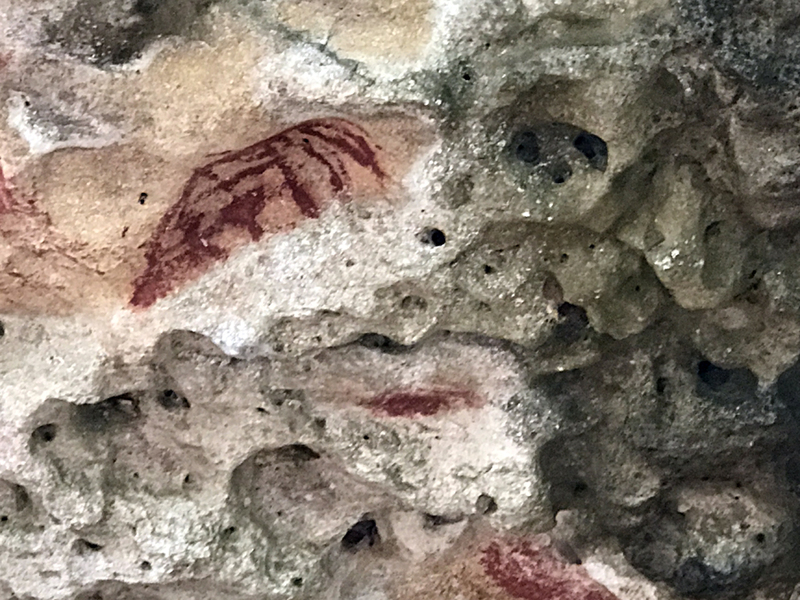 Closeup of the ceiling of the Christoffel rock art site, Curacao. 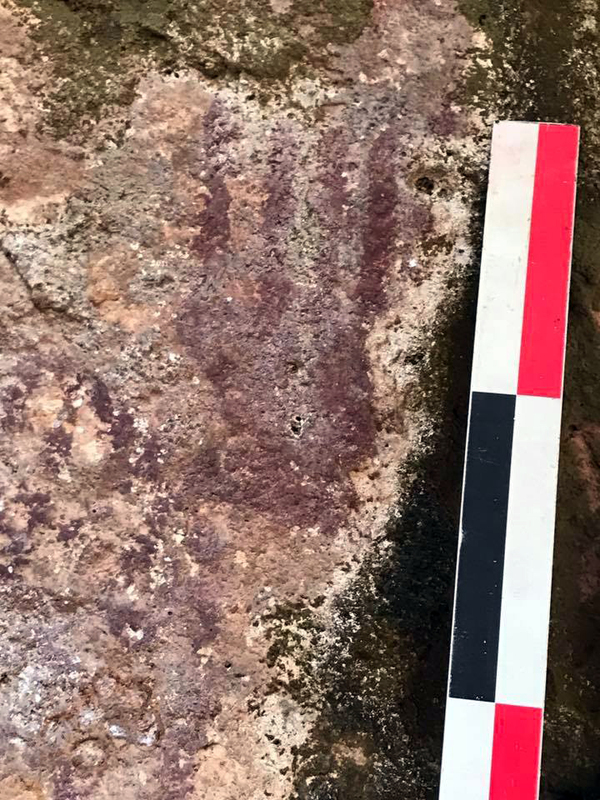 Pictograph (Yucca?) 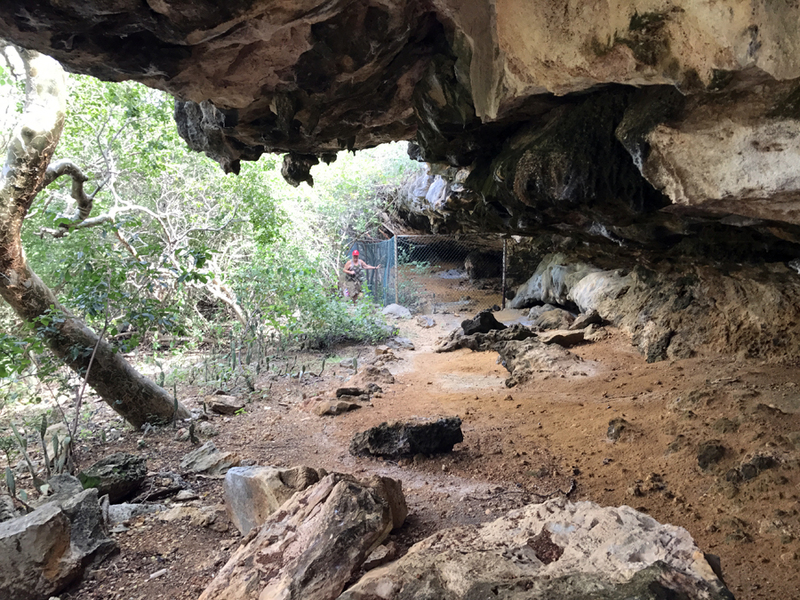 outside of the fenced area at the Cristoffel rock art site, Curacao. 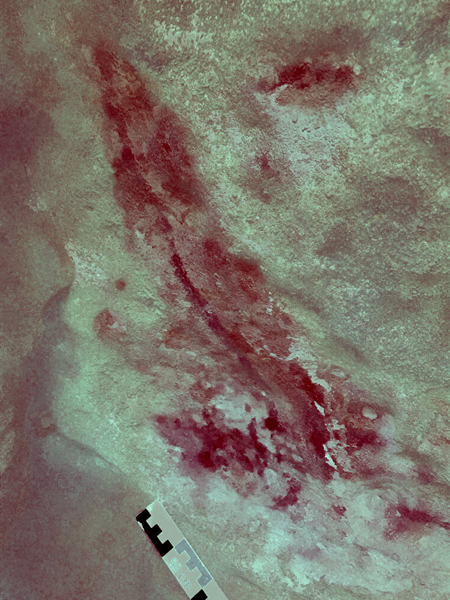 dStretch (filter yre) of a pictograph (Yucca?) 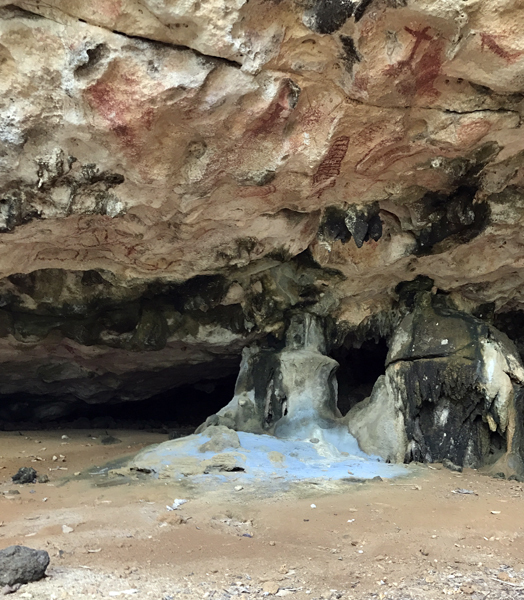 at the Cristoffel rock art site, Curacao. 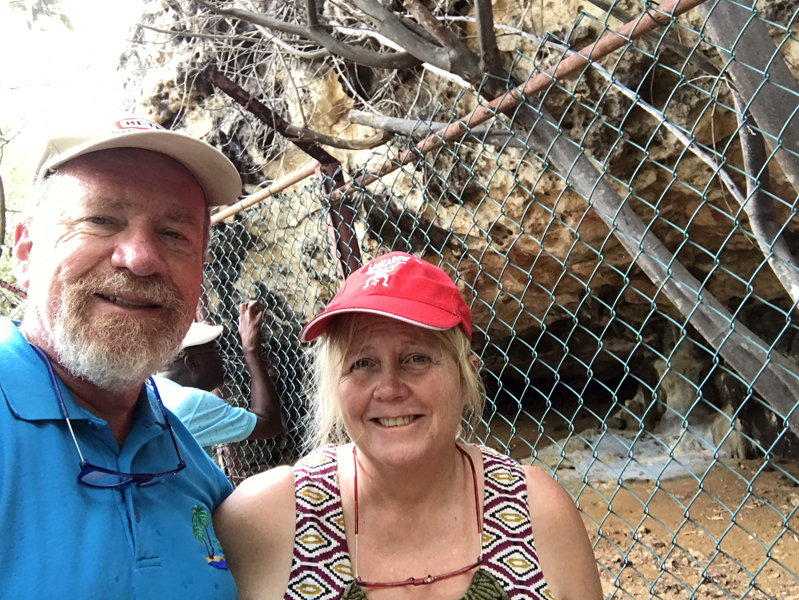 Professors Michael Fuller and Neathery Fuller at the Christoff site on Curacao. 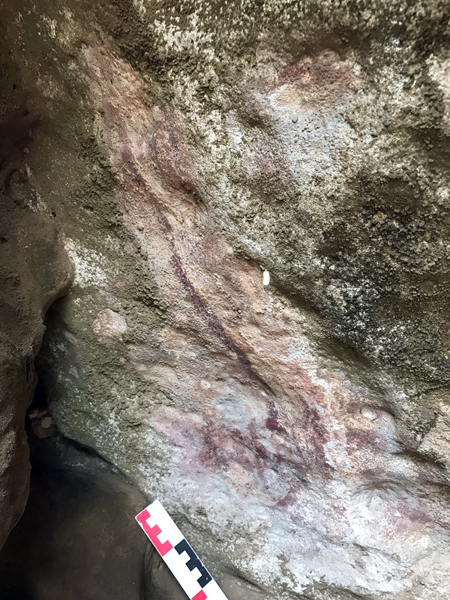 The taxi driver is looking through the fence at the pictographs.